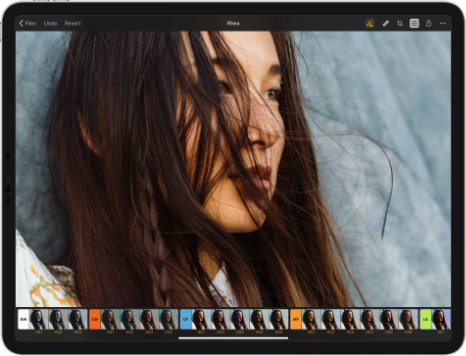 All the details about the latest Pixelmator Photo updates. When using Pixelmator Photo, TrueTone displays will no longer change the color temperature of the screen as much. When attempting to save to Photos after previously denying access, the alert will be more informative. When attempting to open an unsupported RAW image, the alert will be more informative. It’s now a little easier to move the Color Adjustments pane around as the draggable area has been expanded. To make it easier to repair areas at the edges of photos, you can now start repairing slightly outside the bounds of the canvas. The keyboard will now be dismissed with any touches not related to text field editing. The preset thumbnails of cropped images were being displayed incorrectly. Fixed. Grain was being incorrectly displayed in preset thumbnails. Fixed. Thumbnails would sometimes flicker before adjustment presets were reloaded. Fixed. The ‘+’ button for adding presets would sometimes disappear. Fixed. On rare occasions, multiple presets could be selected at the same time. Fixed. It was sometimes impossible to add points to an edited curve of the Curves adjustment. Fixed. After device rotation, the canvas would center incorrectly. Fixed. After rotating the image using the Crop tool, the canvas would center incorrectly. Fixed. The canvas would sometimes be incorrectly vertically centered when editing in fullscreen. Fixed. When using the color picker, the Previous color was not being displayed. Fixed. The color picker history (also found in Pixelmator for iOS) which can be accessed by swiping the Current and Previous colors to the right was not appearing. Fixed. A number of additional color picker fixes. A whole host of things could go slightly wrong if the image was moved while the Straighten or Perspective wheels were still decelerating. Fixed. The Crop tool’s Straighten mode was not working correctly for flipped images. Fixed. Attempting to repair areas near the edges of the iPad screen would sometimes start panning the image. Fixed. Fixed a possible issue for repaired areas in images with perspective transformations. Resetting changes with the Repair tool and redoing those changes would sometimes leave the Reset button enabled. Fixed. Rapidly tapping the tool buttons in the toolbar could potentially cause Pixelmator Photo to quit unexpectedly. Fixed. Disabling an adjustment while a text field is actively being edited and the keyboard is visible would cause Pixelmator Photo to quit unexpectedly. Fixed. This update includes a fix for an issue with importing images from the Photos library into storage locations provided by certain third-party services. If it isn’t possible to import into a particular location, images will be imported into the Pixelmator Photo folder in iCloud Drive or on your iPad instead. This is the initial Pixelmator Photo release so everything’s new!